What’s On pals at Hype have delivered the ultimate guide underground nightlife in Dubai, including Audio Tonic, Plus Minus Sessions, Electric Days and more. A new season of nocturnal naughtiness is upon us, which means the big promoter guns are all locked and loaded, ready to roll. As Dubai continues to shed its image as a forgotten backwater and forge ahead as a go-to clubbing destination, there is an ever classier and more considered outlook to many of the parties that play out each week. Whilst high end, bottle service and VIP culture sure does still exist if you want it, for those real underground heads there is ever more seductive stuff to get excited about. 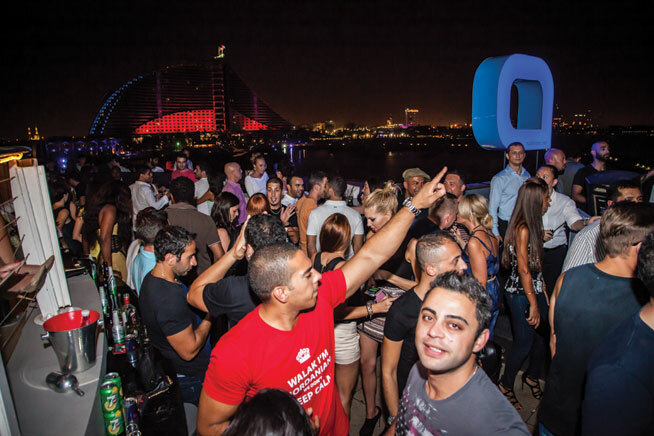 Mike Bufton is very much a man about town when it comes to Dubai’s dance culture. 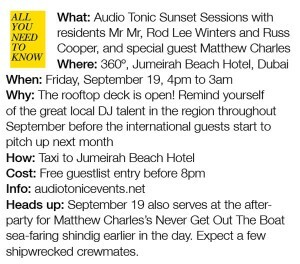 As well as furthering the scene with the Audio Tonic record label and DJ agency, so too is he the driving force behind the Friday club night of the same name, an award-winning weekly party that hosts 1,600 clubbers and guest DJs like Ian Pooley, Ralph Lawson and Jimpster at Jumeirah Beach Hotel’s fabulous 360° venue. Most famed for taking place in the small inside space downstairs as well as on a beautiful open-air deck by the sea, this new season is Audio Tonic’s ninth. That Mike has such history in the region really helps when it comes to bookings, because he reckons agents are still cash hungry when any UAE gig requests come in. 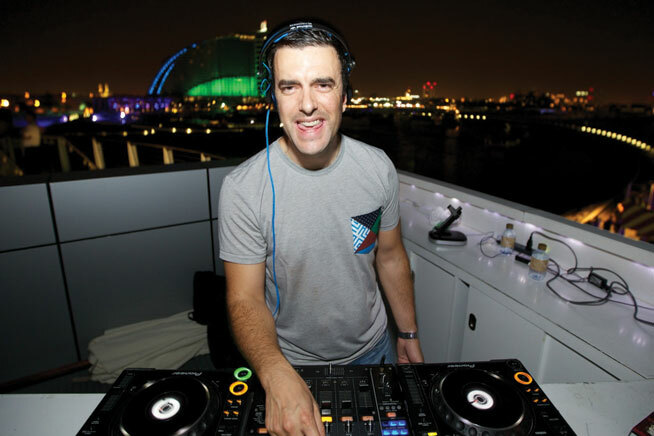 Although there is some way to go, with some venues still throwing obscene amounts of cash at international DJs for a flying visit, it appears that Dubai is finally shaking off its ‘quick cash grab’ image amongst DJs worldwide, from the most revered spinners to the scene’s respected new breed. Mike says many DJs are taken aback at the modern scene in the city. “The view, the crowd, the energy – we had Funk D’Void play at Audio Tonic a few years ago and he actually cried with joy!” he recalls. Catering to a – still predominantly ex-pat but evermore locally infused – crowd that hungers for new music and fresh sounds, Audio Tonic is now in a place to dictate rather than follow trends. The night has built up such a following it can set its own agenda and take chances on bookings with a view to expanding the minds of those on the dancefloor. “We bring back a few regulars each season by exceedingly popular demand,” beams Mike. “But on the whole we bring new names. We are keeping the residents in play for September but some names coming up include the return of Pierre Ravan with his KaRavan concept, Mihai Popaviciu, Jimmy Van M and Stamina, Nice7 and Dale Howard. 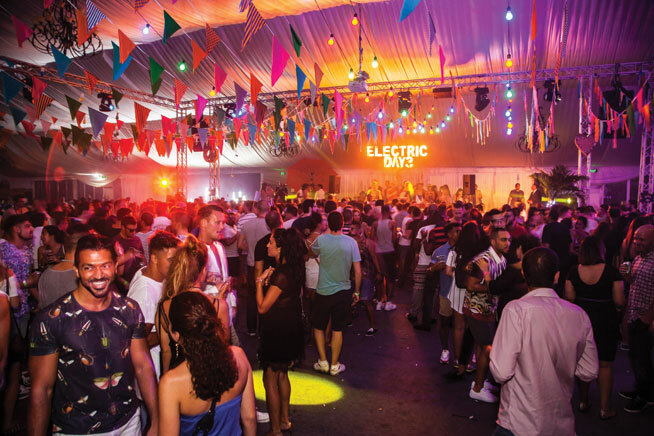 Another Dubai party that has always catered to sizeable crowds but has kept it underground is Plus Minus Sessions, the night that saw up to 2,000 ravers get down to last season’s highlights like a live set from Henrick Schwarz and Âme. They kick off this year’s assault with Karmon and &Me on September 19, but have also been working hard during the close season on something extra special. “Since it’s a new season we wanted to enhance our upcoming events and start with a fresh venue,” says promoter Adrian Grech, explaining the night’s move from Nasimi Beach to Level 41 at Media One Hotel. The new venue seems like a perfect fit with its raw industrial feel – an aesthetic that always suits underground electronic music. “Level 41 is a blank canvas and it also has no sound restrictions,” adds Adrian. It would be obtuse to claim that promoting parties isn’t, ostensibly, a man’s game. Dubai’s scene is so well established, though, that two ladies are now also making their mark – and then some. Said parties have won several nightlife awards – including the Hype Award for Best House/Techno Night earlier this year, no less – and have played host to the underground talents of Visionquest associate Laura Jones, vocalist and deep house heroine Kim Ann Foxman and No.19 act Tone of Arc as well as many others. This summer, when most parties took a break owing to the oppressive heat, Rima and Dania instead went big: they hosted a huge one-off party in a giant marquee in Dubai Media City at the end of Ramadan and roughly 4,000 people turned up. “It was great, and we will definitely be doing more of these pop-up events throughout the year,” say the ladies about the party that saw international headliners Audiofly, M.A.N.D.Y. and Blond:ish all do their thang. 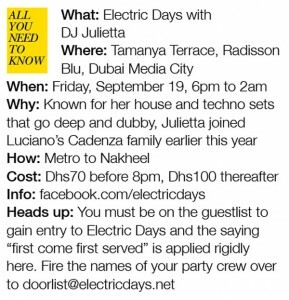 Looking forward to a busy season as well as the upcoming Formula 1 event in Abu Dhabi and a New Year’s Eve party “Electric Days style”, Rima and Dania are just the sort of enthusiastic and conscientious promoters any scene needs to thrive in the long run so make sure you get down with them this month, when Julietta stops by on September 19 and Chicago heiress Kate Simko visits on September 26. 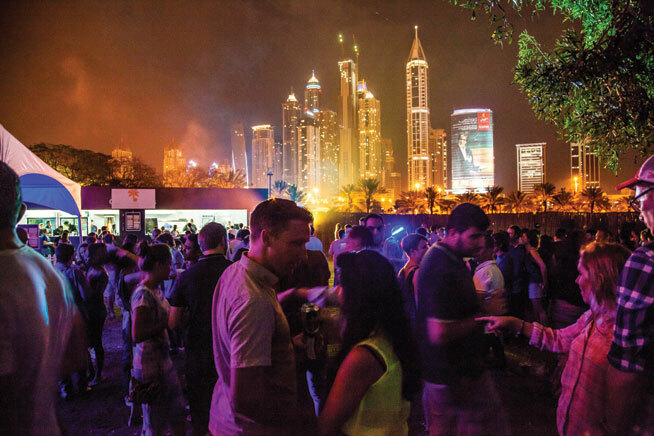 Groove On The Grass, meanwhile, started back in 2012 but in just a short space of time has already become one of the most talked about events in Dubai. What separates it from the rest is that it is not so much a club night as a mini outdoor festival that takes place at Emirates Golf Club. Tale Of Us and Butch, Steve Bug and Ellen Allien all played last season, so it’s clear that Groove On The Grass cater to the more established and internationally acclaimed artists on the house and techno spectrum. They kick off their season with Pan-Pot and a live set from Avatism on September 26. He reports that his audience, too, is changing, and that more and more new faces seem to attend each event, joining the hoards of devoted followers that have been there since day one. “Things have changed drastically, from my interests in different types of music and culture, to understanding what boundaries should be pushed when introducing concepts. It’s been a roller coaster ride, but very rewarding. 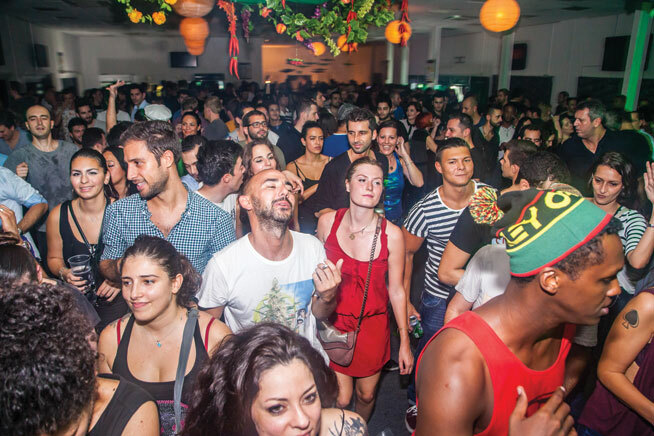 Groove On The Grass is already at the stage where it can bring underground darlings like Pampa boss DJ Koze to play, and people turn up in droves. He, along with “Konrad Black and Butch’s makeshift set-up in the cabin, fully going off while it was raining outside” were the sort of highlights of last season, in case you missed out. As Hype went to press, Blue Marlin UAE was also putting the finishing touches to its line-ups for the season and several new venues were due to open in October. With so much on offer, and much of it ever more boundary nudging, it is finally time to put to bed the notion that Dubai only exists as a shiny destination that deals exclusively in commercial pap. As we know, that couldn’t be further from the truth. World take note.